Too early for Christmas? Possibly a tad too early for us too. 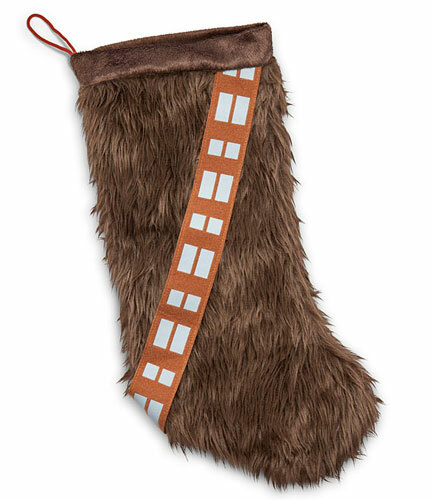 But we are flagging up this Star Wars Chewbacca Christmas stocking at ThinkGeek now because it might well sell out when the rush starts. Not sure if they ship outside the US, but if they do, your Star Wars-obsessed child will definitely be spoilt for choice when he or she sees the official Star Wars bedroom furniture at Rooms To Go. I can’t of anything not to like about this Star Wars Pop Art Collage wallpaper by Graham and Brown. Maybe your children will feel the same. We featured this at the start of the year, mentioning that it should land sometime in 2014. Well, the Lego Ghostbusters Ecto-1 30th Anniversary Set has just landed.